The look of natural wood within your home is something that is sure to turn heads. If you’re ready to have a wood floor without all the maintenance and upkeep that goes with it, consider installing Florim USA Ecowood porcelain tile instead. Florim USA has combined technology with the durability of porcelain to create a flooring product that looks exactly like natural wood. In addition to the stunning aesthetics, the material is easy to maintain, durable, and the 6×24 or 6×36 tiles won’t fade. The wood patterns are designed to create a charmingly rustic appearance. You can select from light colored Avorio to create a soft appearance, or you can opt for the much darker Wenge to create a more solid and masculine appearance. Of course, if you’re feeling a bit more whimsical and want to create a beach side look, consider the multicolor tile that would be right at home within a beach inspired house. We highly recommend Florim USA Ecowood porcelain tile to our clients. 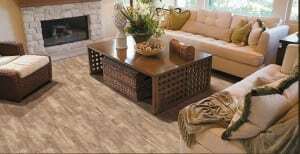 When you’re ready to learn more about this beautiful and highly reliable flooring option, contact us at Conestoga Tile today and we’ll be happy to give you all the details.